Kinder Gem - Gem City Gymnastics & Tumbling, LLC. Kinder Gem classes are our most popular! The focus is on developing motor skills, hand-eye coordination, and introducing basic gymnastics movements. They are taught with children 18 months to 5 years old in mind. You’ll find descriptions below of Gem City’s three different types of Kinder Gem classes. To enroll, you can stop by the gym or call 217.224.8491. This class is designed to help toddlers 18 months to 2 years with hand-eye coordination, social skills, and motor skills. At least one parent must be present and participate in the class. Every class period holds its own theme to help make the class more fun. This class is for children three years of age. With weekly themes put in place to enable fun with the comprehension of gymnastics skills, this class is focused on the most basic of gymnastics skills. This class is the first level that the little ones will attend without the parents tagging along. We encourage all parents to view the class from our viewing area and to be present in the facility during the class. This class is for children four to five years of age. It’s similar to Kinder Gem 3, but with a greater focus on gymnastics skills in preparation for gymnastics and tumbling classes. Gem City’s Preschool Playtime provides open, unstructured time for kids age 6 and under to play in the gym. You can come for a half-hour or stay the whole two hours. 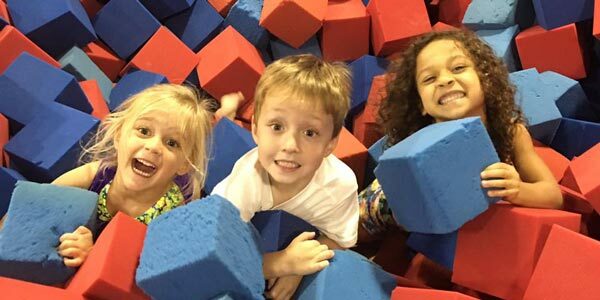 Members and nonmembers alike can come play with their little ones for only $5 per child. Individuals, daycares, play groups, church groups, etc. are all welcome too! Each child or small group needs a chaperone. Children must be 6 or younger; there are no exceptions to this rule. You can feel free to take a break during the two hours of open gym time! You could have a snack in our lobby or read one of our many books in between wild gym time.